I took this photo in Granada last year while on a cruise. I was up on a small hill and had a good view of the cruise ship. 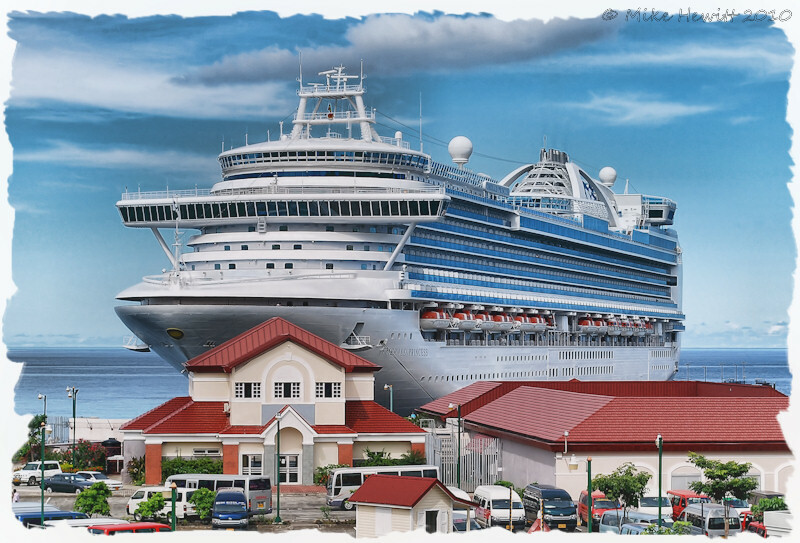 I thought the perspective of the huge ship behind the buildings was interesting.